* There's something to be said for the slick, white plastic "rock" foosballs that come packaged with so many foosball tables. 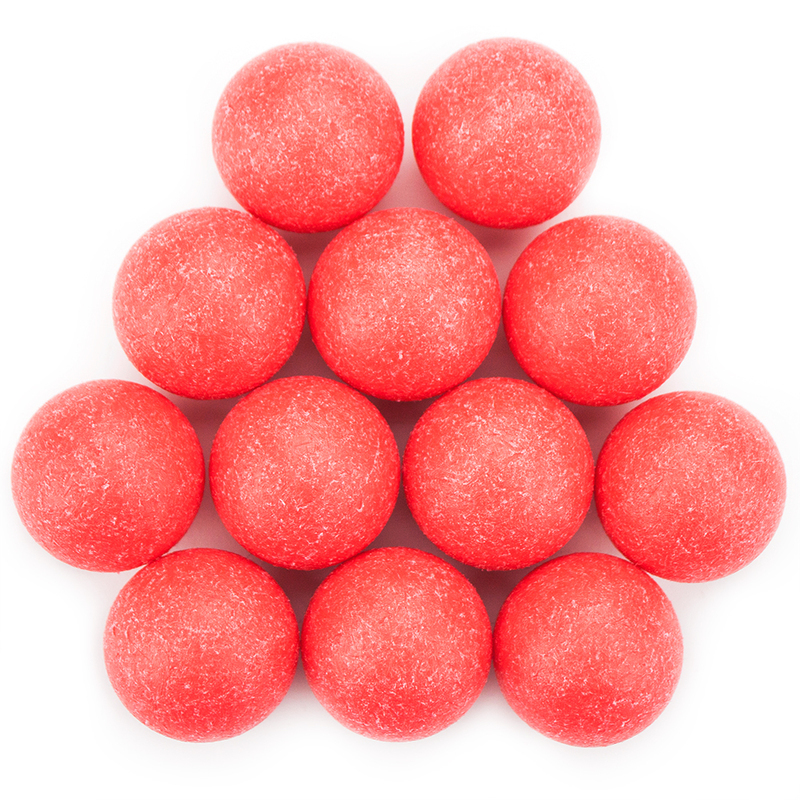 Unlike the cork balls favored on European-style tables, they shoot hard and fast, and they roll quick, hardly stop on their own. They're perfect for the speedy style of foosball that has taken hold of America. 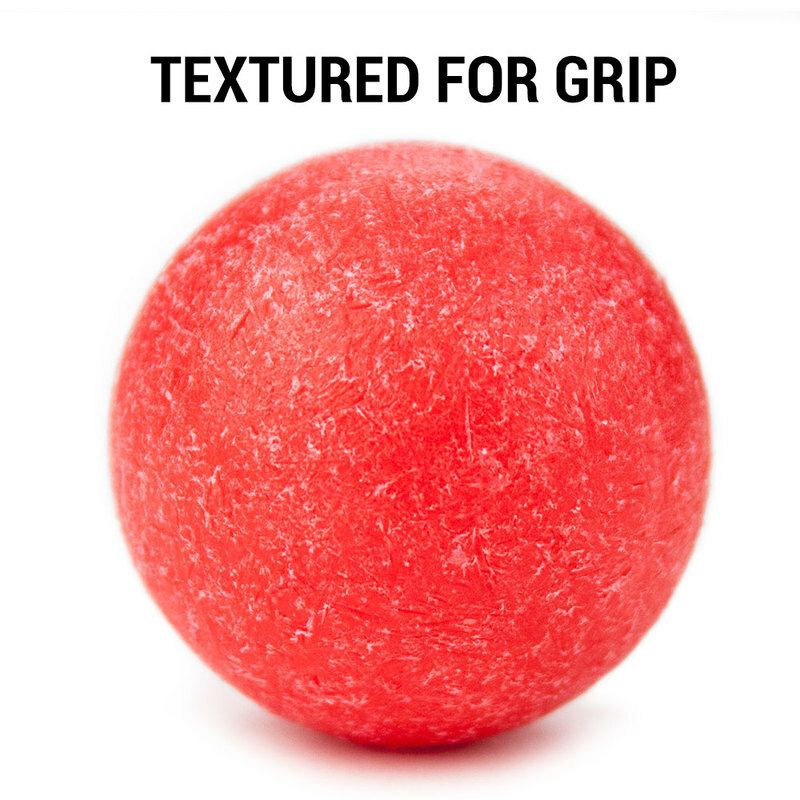 But there's a better option.Made popular by Tornado, textured foosballs combine the heightened control of cork with the blistering speed of smooth plastic. The grippy texturing makes for easier pins, passes, tic tacs and snake shots without sacrificing speed and power. These are the balls the pros use, and now you can use them too. 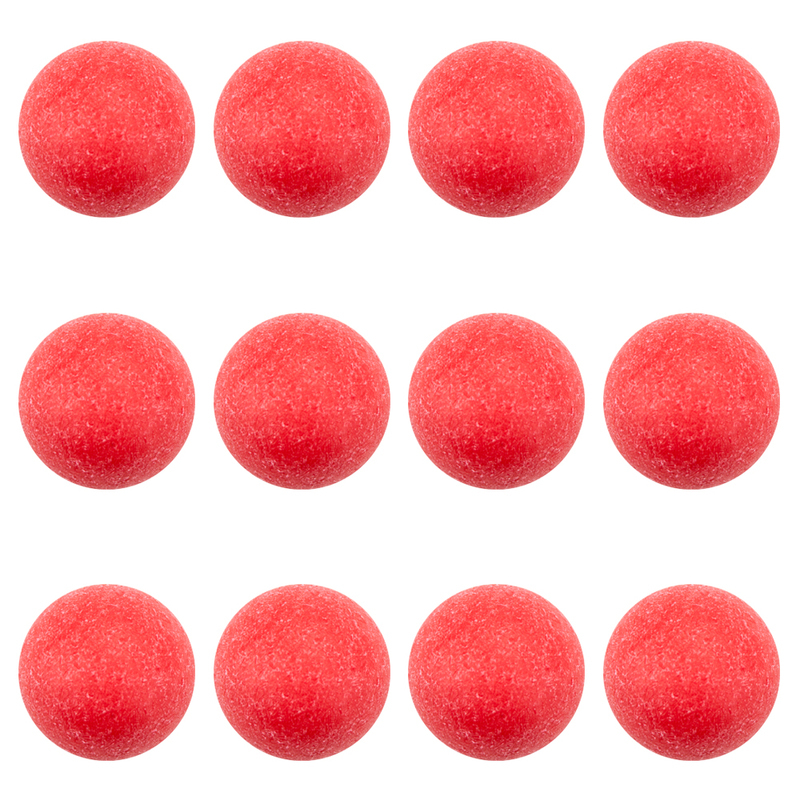 Included in this pack are 12 red textured balls. Measuring a standard 35mm in diameter and weighing 20 grams, they will suit many standard foosball tables. Great as replacements for those in the know, or upgrades for fresh converts. You may never use smooth white foosballs ever again.